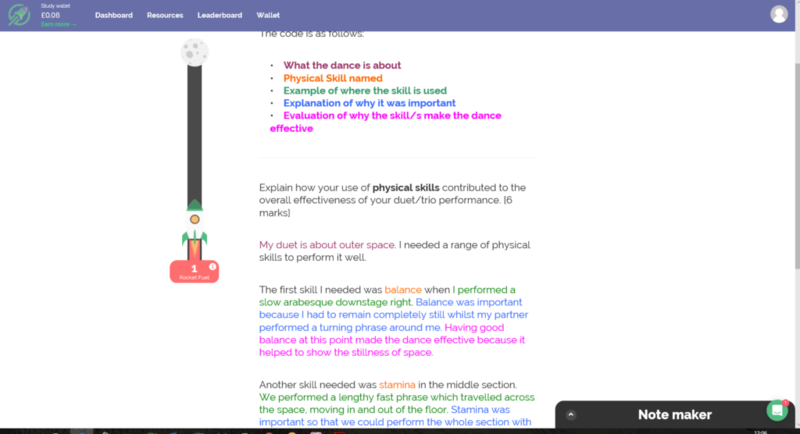 ArtsPool has teamed up with Studyrocket e revision to produce a unique online e revision course for the GCSE Dance written paper. Our course take students through each question on the paper, guiding them in understanding the question and how to answer effectively. Visual tools make revision interesting! Our Studyrocket course is highly visual and makes revision interesting. With timed sessions, students can revise in short blocks bit by bit until they complete the course. 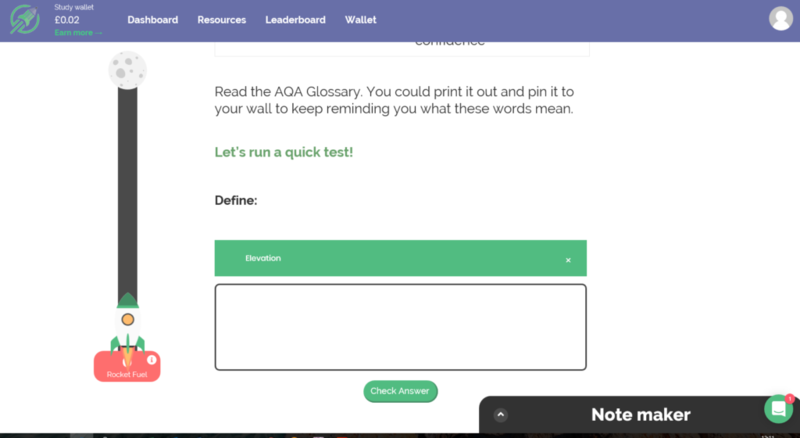 Quick quizzes consolidate learning. There are opportunities for students to test themselves as they work through the course as well as take notes and practice the longer answer questions. And let’s not forget exemplars! We think it’s really important that students see an example answer, so that they understand the expectation. We go one better and draw out how to build it as well! Is the content the same as your e learning hub? No. 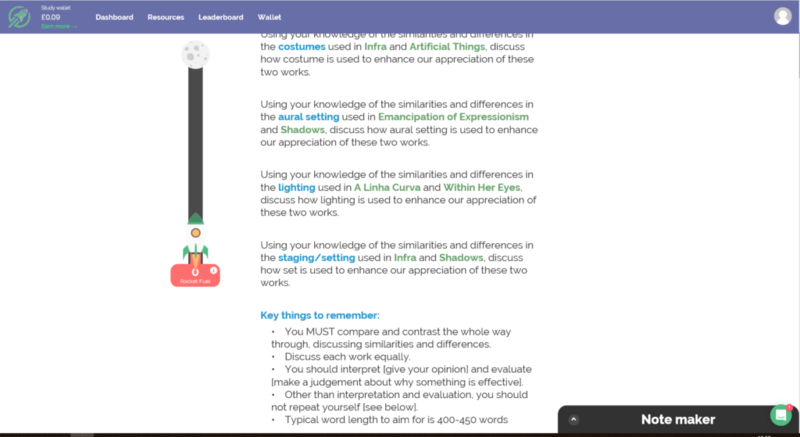 The e learning hub teaches students about content. The Studyrocket e revision course focuses on the questions themselves. Is this for schools or parents to buy? The e revision course is for parents to purchase for their child on an individual basis. We have written a letter to parents that you might wish to tailor to your school style and send out. Click the link below to download it. Studyrocket set the pricing and operate a monthly charge of £9. However we have secured a 10% discount for our lovely teachers to pass on to parents. All they have to do is enter ARTSPOOL in the discount code box at checkout. Students can then access the course from now until the exam for £16.20, or for 1 month for £8.10.